The mission of the Combat Stores Ships is to conduct underway replenishment in support of operating forces by providing refrigerated stores, dry provisions, technical spares, general stores, fleet freight, mail and personnel by alongside or vertical replenishment means. 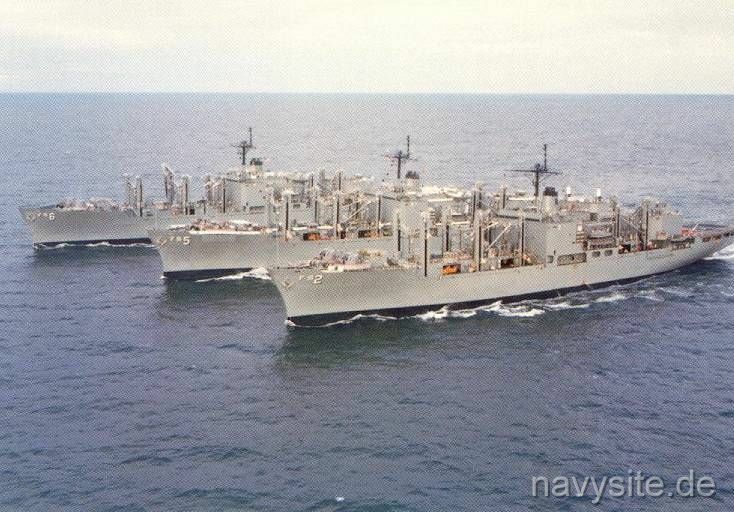 Aerial view of the three former Atlantic Fleet AFS (front to back): Sylvania (AFS 2), Concord (AFS 5) and San Diego (AFS 6). The photo was contributed by TJ Tropea.